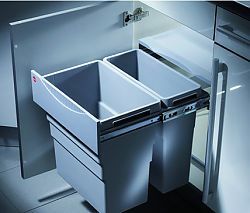 Easily access your waste bins and then tuck them away when not in use with this easy to install waste container set. 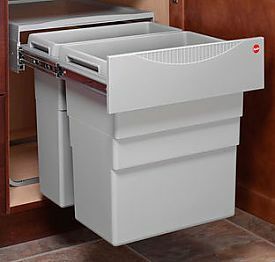 Mounts to the bottom of the cabinet, comes complete with full extension ball bearing telescoping slides and works with a hinged cabinet door. 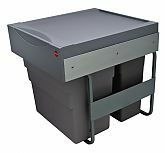 Features a snap on lid that allows practical storage on top of the lid. Includes all mounting hardware. NOTE: Compatible with 21in. 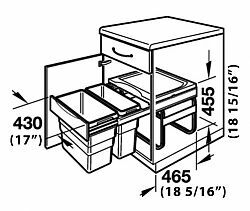 (533mm) face frame cabinets. Note: This product is also known as 502.43.520 on other websites.